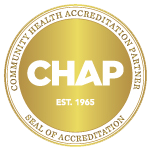 Hospice of Michigan is proud to announce that the organization has achieved statewide accreditation by Accreditation Commission for Health Care (ACHC). Achieving accreditation is a process whereby healthcare organizations demonstrate compliance with national standards. Accreditation by ACHC reflects an organization’s dedication and commitment to meeting standards that facilitate a higher level of performance and patient care. ACHC is a not-for-profit organization that has stood as a symbol of quality and excellence since 1986. ACHC is ISO 9001:2008 certified and has CMS Deeming Authority for Home Health, Hospice and DMEPOS. Hospice of Michigan is accredited under the Hospice category of service.